With the game's release only three weeks away, I figured it was about time to explain to you why this game, at least in my eyes, is one of the biggest releases this year in the JRPG sector. 1. It has two main protagonists. In most JRPGs, if not all, there is always one main protagonist and the others that form a hero group. This game, however, has TWO main protagonists: Jude Mathis and Milla Maxwell. Each of them have their own path in the story. At one point they end up fighting together, but there will be portions of the game where they're separated and you only see what your chosen character witnesses. In other words, in order to experience the game's story to 100% you need to play it twice. The game has a New Game + mode so it's a given to play it again anyway, but this gives you some additional motivation so that the game doesn't feel boring right after finishing it once. The two protagonists aren't your usual JRPG heroes either: Jude is a doctor of sorts, in other words a healer. A male healer in an JRPG is rare, so this is quite something. Milla, on the other hand, is a medium of sorts who can talk to spirits. And she's a real femme fatale to boot. Playing with each of those will be quite something alright. 2. It tries out many new things, and for the better. JRPGs are nice and all, but sometimes an angry internet user will be like “Been there, done that. Gimme something new ASAP!”. Well ok, here is a game that does a few new things. You happy now? Tales of Xillia is a game that was approached by the development team differently. They wanted to go a new path, reinvent the series a bit. And in some ways, they did. The biggest change can be seen with the two protagonists and their individual storylines. Sure, in Western-type RPGs having different characters and story paths to follow is sort-of the norm, but for JRPG standards it's nothing short of a revolution. Jude was designed by Mutsumi Inomata who provided character art for Tales of Destiny, Tales of Eternia, Tales of Hearts and Tales of Graces. Milla, on the other hand, was designed by Kosuke Fujishima, the guy who provided character art for Tales of Phantasia, Tales of Symphonia, Tales of Abyss and Tales of Vesperia. Longtime fans of the series might be able to see the different style of each artist shown in the character art. Inomata is more of a normal design guy, whereas Fujishima delivers more lavish, anime-esque designs. These two artists usually stick with one game at a time, but both of them coming together in one game is a special occurrence in the series' history. It doesn't end with the characters, however. The combat system has received a new direction as well. Tales of Graces was labeled as “the Tales game with the best combat system, but worst story”. Tales of Xillia apparently can even top that, having a good combat system AND good story. Mindblowing, isn't it? They went even further with the changes in the game's sequel, Tales of Xillia 2, and they included stuff like Quick-Time Events. From what I've heard, the sequel is as good as the first game, for some it is marginally even better than the first game. So one could say that the “Xillia series“ is anything BUT standard fare. 3. It is being released at the right time. Tales of Symphonia was a surprise hit back in 2004, selling over 1 million copies worldwide. For a JRPG on the Gamecube, that was quite something. Sadly, every game that followed after Symphonia could never come close to its success for various reasons. Tales of Legendia wasn't exactly bad, but it wasn't outstanding either, so it was a rather lukewarm follow-up to Symphonia. Tales of the Abyss was a good game, but was released at the same time as Final Fantasy XII – and EVERYONE bought Final Fantasy instead of the other one. A classic David VS Goliath case where there was only one winner, and it wasn't Abyss. Tales of Vesperia was also a nice game, but being stuck on the 360 as a timed exclusive, it couldn't even gather half a million sales within its first month. This is just my opinion, but I dare to say that the Xbox 360 wasn't the best platform for JRPGs, at least with a non-realistic artstyle. Lost Odysee fared a bit better and had a realistic artstyle, so that's that. Tales of Graces was sort of a miracle. The last release of a Tales game on consoles was years ago, and management could've easily concluded that the Western market simply isn't profitable enough for the series to localize it. Then they released it, which was a sign of goodwill on Namco's behalf. And what did they do? Release it between Final Fantasy XIII-2 and Mass Effect 3. I never thought you could top Abyss' bad timing, but it happened anyway. But now, at last, there is no big release around early August 2013. The only competition I can think of are King's Crown and Mario & Luigi: Dream Team, but those have a different focus or are on another platform. There also is Time and Eternity, but it comes out three weeks prior to Xillia. Still, no big-budget, well-established franchise release around that time whatsoever, whether it be in the RPG sector or otherwise. It has a real chance of finding its audience with some proper advertising. If you call yourself a JRPG fan, there is absolutely no excuse not to give this game a chance this time around. 4. It looks better than ever. The last Tales game released in the West – Tales of Graces f – was a PS3 port of the original Wii version. Being developed for a non-HD console at first, it was neither as stunning as Metal Gear Solid 4, Uncharted or Final Fantasy XIII, neither did it have some interesting cel-shading like Ni No Kuni or Valkyria Chronicles. This doesn't mean the game was ugly, far form it, the game still looked very nice, and there was only one case where textures were looking ugly. But when talking about showing the potential of the PS3 hardware, Tales of Graces was not the best example among JRPGs. 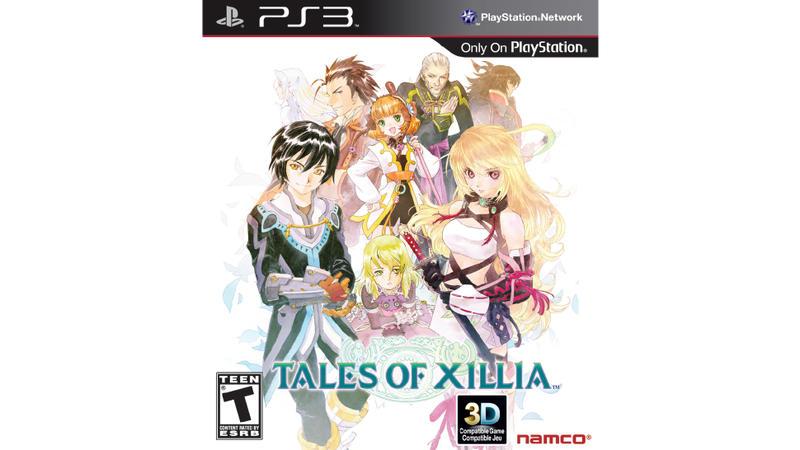 But Xillia is the first Tales game to be developed exclusively for the PS3. Unlike Tales of Vesperia, which received a PS3 port in Japan, and Tales of Graces, this one is geniune PS3-level and therefore looks just as good. 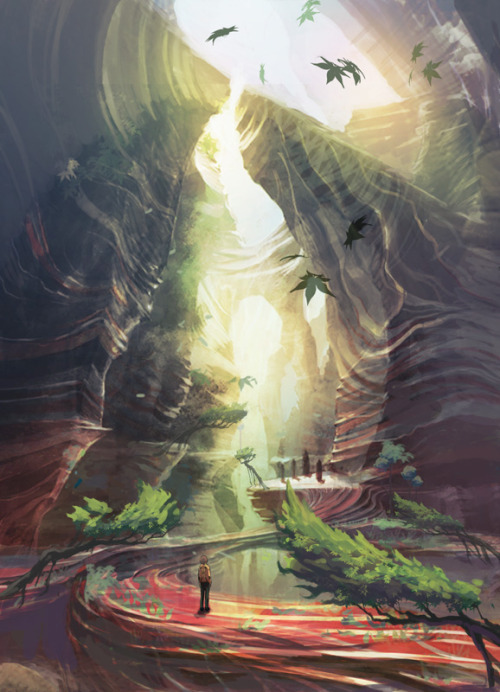 And for what it's worth, the concept art is quite something. If the main game turns out as good as this, it will be a beautiful ride. 5. The special edition is available in the US as well. In case of Tales of Graces f, there were only some in-game customes available as pre-order bonus in the US, whereas Europe got a real special edition with an artbook, making-of and a few tracks from the game's soundtrack. Not this time around! The Collector's Edition is available both Europe and the US, and is still available as of this writing.